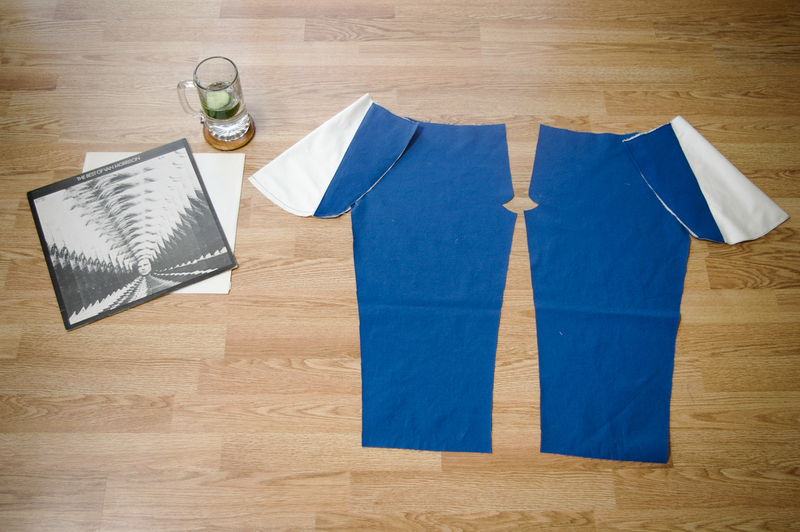 To sew the slash front pockets, first of all, we need to attach the two separate facing pieces to each pocket lining. Pocket Facing #1 will become the visible front of the pant when the pocket is complete and Pocket Facing #2 will be the inside edge of the actual pocket so that a person viewing the pants from behind won’t see the pocket lining fabric poking out. 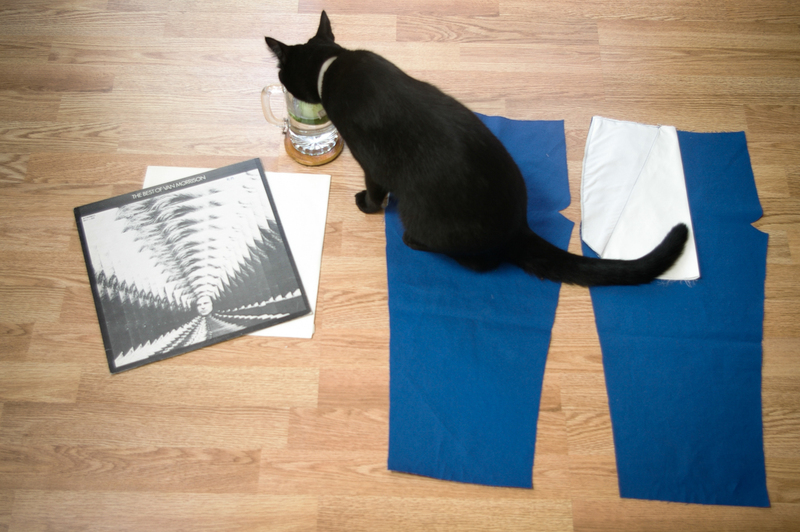 I’ve prepared the facings by ironing the seam allowance (5/8″) under to make a finished edge. Do this to the straight edge of Pocket Facing #1 (the large piece) and the longest edge of Pocket Facing #2 (the small piece). To attach the facings to the pocket lining, I laid the pocket lining right side up and pinned the pocket facings to it (also with right sides up). I lined up the raw edges with the raw edges of the lining and pinned it all in place. I’ve basted along the raw edges (within the 5/8″ seam allowance) and edge stitched along the folded edge of the facings. 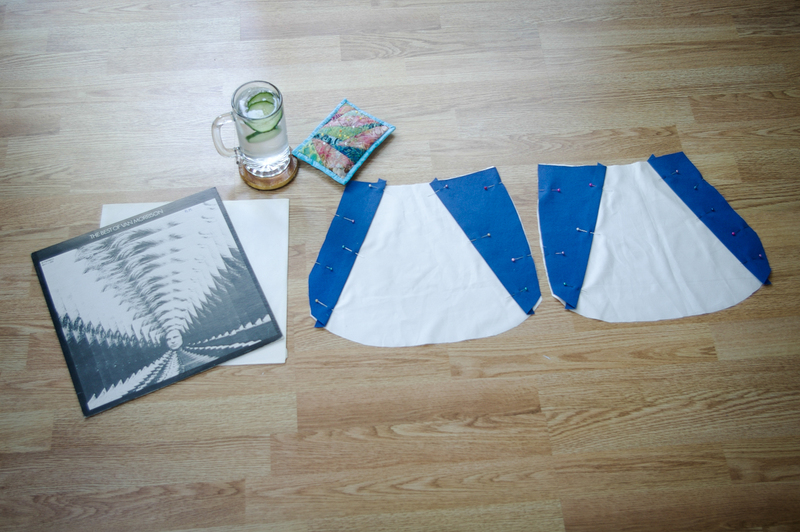 Now it’s time to attach the pockets to the front of the pants! 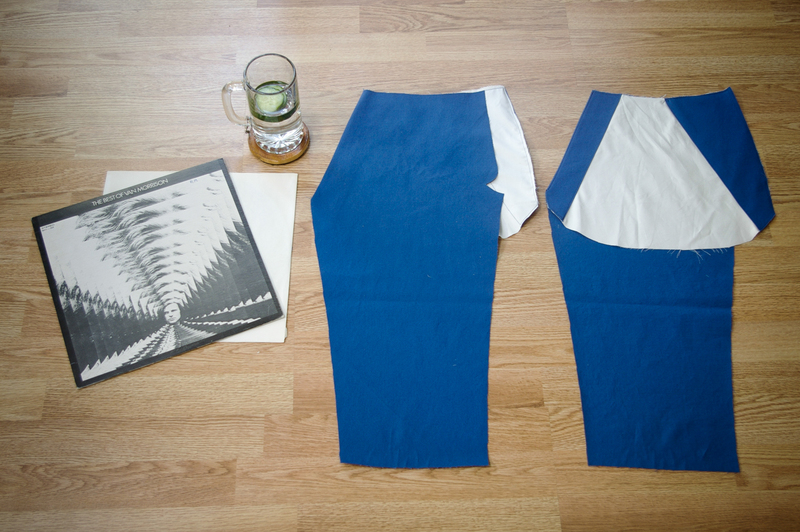 To do this, I’ve placed the Pant Fronts right sides up and the pocket lining right side down. 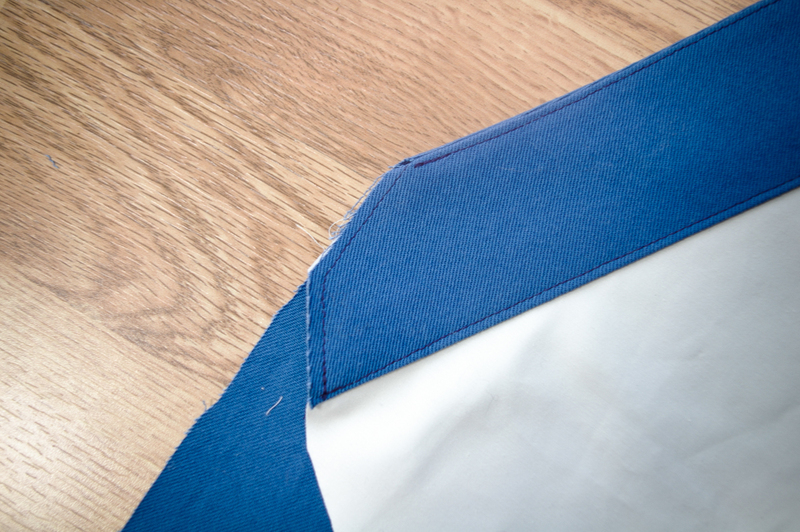 I’ve pinned and sewn along the angled edge (that will form the edge of the pocket). Here is a close up of the angled edge. All the other stitching you can see in this photo is the basting and edge stitching that was used to attache the facings. 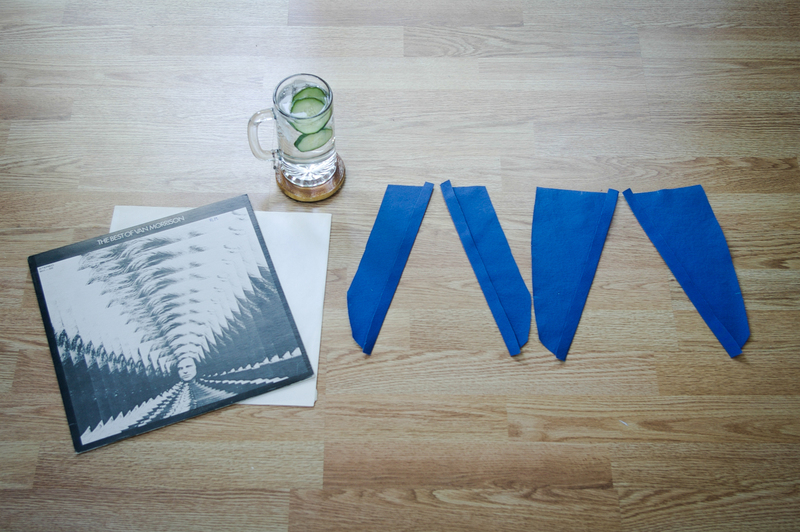 The stitching we just did is along the left hand side of the photo. 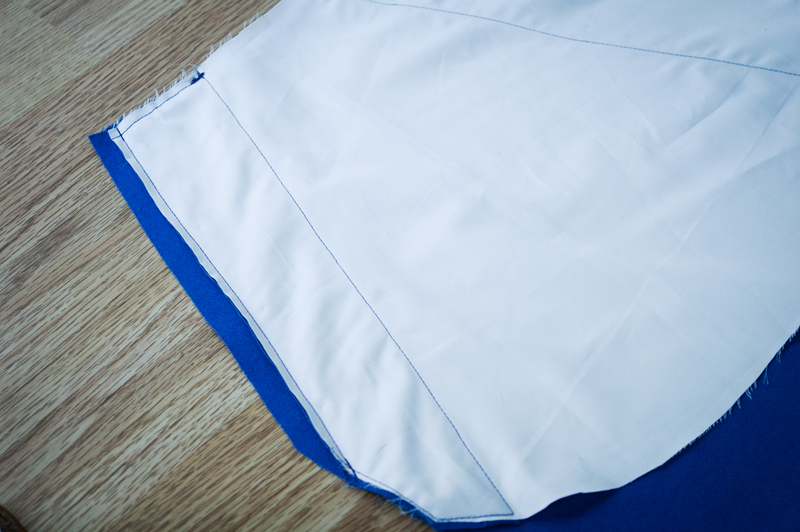 I’ve graded the pocket seam to make it less bulky in the end, but if you prefer, you could serge this seam or even bind it so that you have no raw edges when you’ve finished your pants. 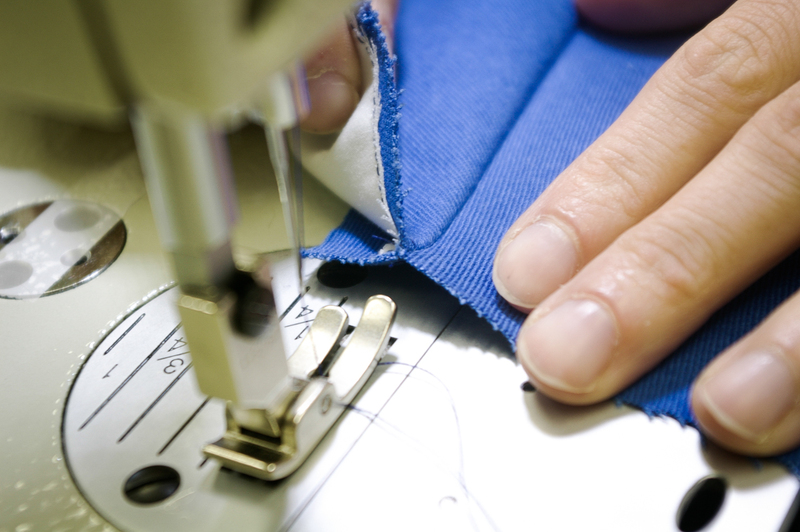 Now that our pocket seams are graded or otherwise finished, we will under-stitch along this seam so that the pocket linings and facings don’t roll to the outside when the pants are being worn. 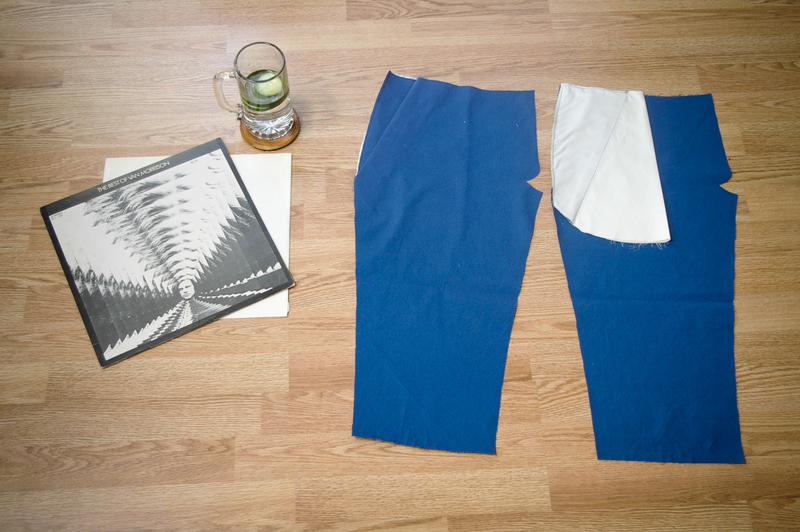 To do this, I’ve stitched through the pocket lining/facings and both seam allowances but NOT the pants front. I’ve lifted up the pocket lining/facing in the photo below so that you can see the seam allowances hiding underneath…but in real life, of course, I would stitch close to the seam with all of the fabric flat on the bed of the sewing machine. 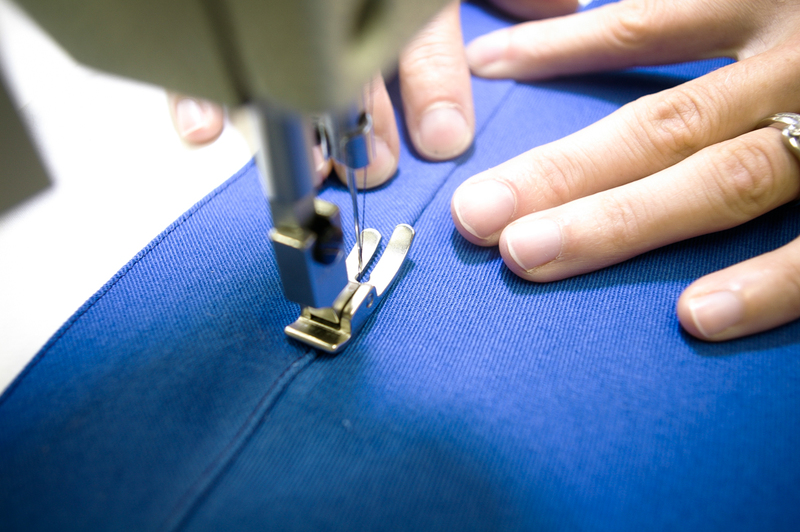 Once we’ve finished under-stitching we can press the pocket seam with right sides together. Next I’ve flipped the pocket lining in the opposite direction along the crease I just made and folded the pocket lining with wrong sides together. 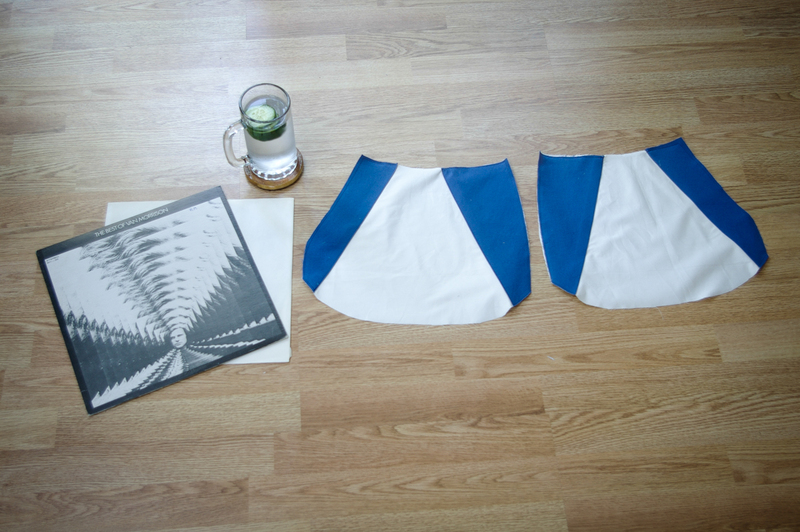 In that position, the bottom of the pocket lining (the bottom edge in the photo below that includes both the pocket lining and the bottom of Pocket Facing #1) is ready to be pinned and then sewn using a 1/2″ seam allowance (visible on the left in the photo below). The pocket pictured on the right in the photo below is attempting to show you the next step: I’ve trimmed this 1/2″ seam allowance to 1/8″…super tiny! Now I’ve turned my pocket right side out so that right sides are together and I’ve pressed it all flat. Then I’ve enclosed the raw 1/8″ seam allowance by stitching along this edge again, this time using a 1/4″ seam allowance. And the french seam is done! 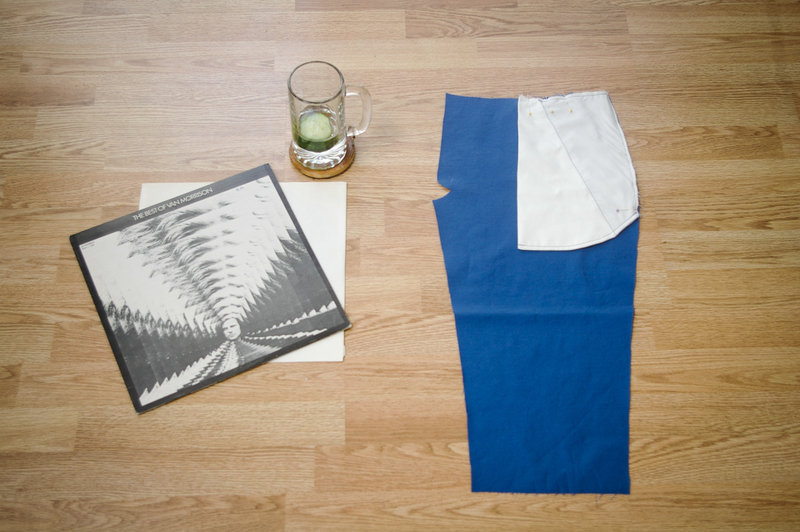 Categories: Jedediah pants, Jedediah Shorts Sew-along | Tags: french seam, sew along, slash pockets | Permalink. One thing that has always baffled me reading through this: in this photo https://threadtheoryblog.files.wordpress.com/2013/08/edited-61.jpg shouldn’t we see 2 lines of stitching on the left hand side? at the start you baste around the entire edge, and then in a later step you sew it again….or are you removing the basting stitches from earlier? My basting stitch on the left side of the photo was trimmed off when I graded the pocket lining/facing seam allowance. I had basted about 1/4″ from the original edge of the pocket lining so when I graded, this stitching was removed. 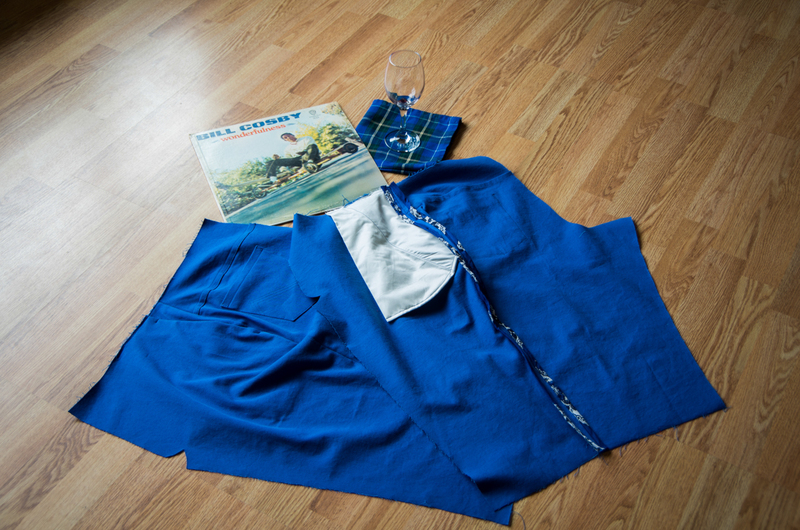 You can see that the basting stitch outlining the pocket lining extends right to the edge of the fabric at the top and bottom because the pocket lining edge used to line up with the pant front edge (the blue fabric) before I trimmed it to remove bulk. I hope that makes sense and removes any cause for bafflement :). I’m a bit baffled by the french seam, I can’t seem to wrap my head around it! I’ve checked out other tutorials for the french seam, but still I can’t figure it out! Any tips? I’m not sure I have more to add to the directions and photos that I’ve posted here, but I’ll try my best! : The concept of the french seam is basically to create a seam that has no raw edges on the inside or the outside and includes very little bulk. The key thing to understand is that you start sewing the seam pretty much backwards: Sew the seam with WRONG sides together rather than the usual RIGHT sides together. This will be hard to force yourself to do, but just go ahead with it and you will see that it will work out in the next step! Next, as pictured in the steps above (click on the pictures to see them bigger and clearer), trim this seam as small as possible without clipping into the stitches (I suggest 1/8″). Then, flip the entire piece around so that the RIGHT sides are together (like you would normally have them positioned when sewing a seam). In the case of the Jedediah pants pocket, this will mean that the pocket looks pretty much finished with everything sitting in the correct position. 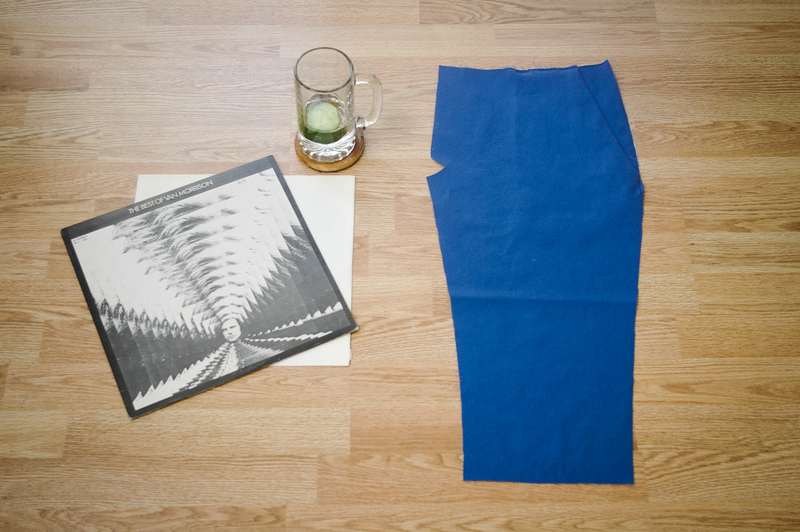 Iron the seam flat and crisp and then, just as you would sew a normal seam, sew along the seam again but use a 1/4″ seam allowance. You’ll have noticed that when you put your hand into the pocket before sewing this last seam, you can feel raw fabric edges. 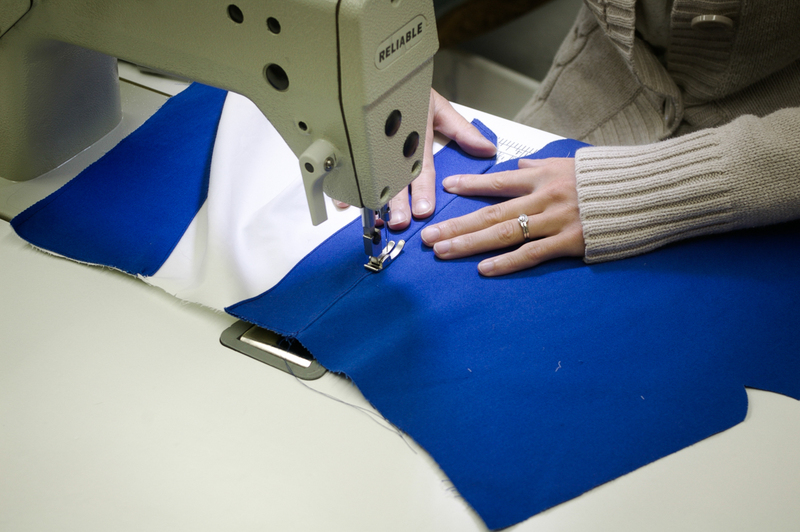 This last seam encloses those so that there are no raw edges on both the outside and insides of the pocket. And your french seam is done! 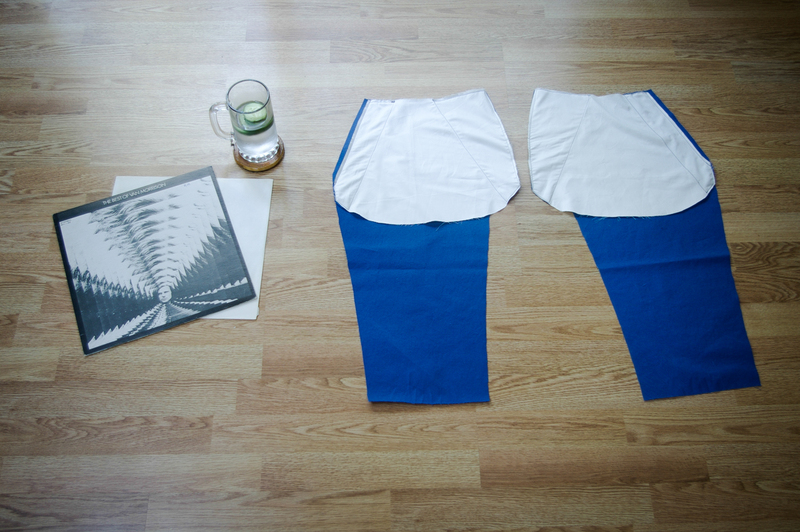 Day 2 done, and so far all the pattern pieces I’ve needed still matched! Keeping my fingers crossed. Yay! Pockets done with fancy frenchie seam! Thanks for the super instructions! Friday night begins! Wahoo 🙂 Good job keeping up so far! Thanks for keeping me updated – it’s really nice to know that people are following along and having success with the steps so far!